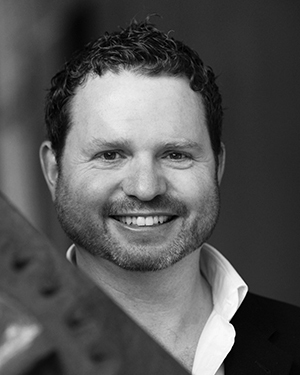 Acclaimed Australian harpist Marshall McGuire has performed as a soloist with the Australian Chamber Orchestra, English String Orchestra, Les Talens Lyriques, Australian Brandenburg Orchestra, Melbourne Symphony Orchestra and the Australia Ensemble. He has appeared at numerous international festivals, and is currently Director of Artistic Planning at Melbourne Recital Centre. He has performed in caves, on the beach at Orpheus Island, at the Chateau de Chantilly and in a 12th century chapel in Wales. Playing music in exotic and beautiful locations is his passion. “Marshall was a delight – knowledgeable, and very good at sharing that knowledge, and with just the right touch of fun and humour.